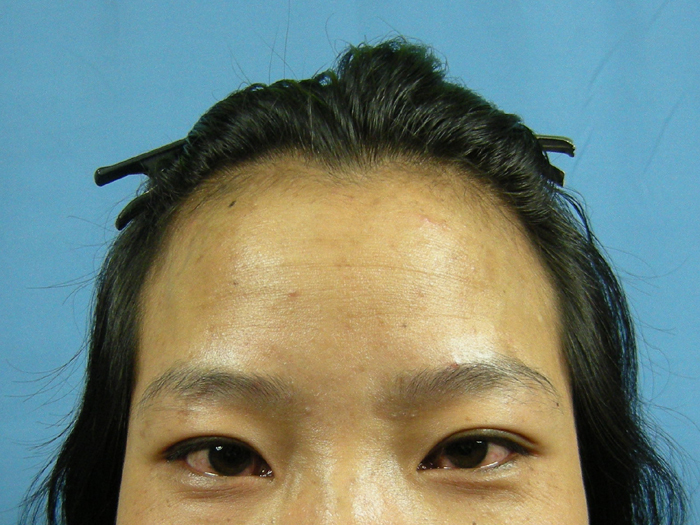 Jenny, a 20 year old girl with a congenitally high hairline, underwent a 1562 FUSE/fue graft procedure six and a half months ago. where is she from China ? did she go to India to get her op done. » where is she from China ? » did she go to India to get her op done. Does not look like your usual clientel. The slanted eyes are a give away. Since she came all the way from China to get this transplant, you must be quite a reputed doctor in all of Asia. » Does not look like your usual clientel. » The slanted eyes are a give away. » quite a reputed doctor in all of Asia.